2017 Big 6 WCGP Lake Havasu Results – It was a West versus East showdown at the final round of the AMA District 37/Maxxis Big 6 Grand Prix Series, and it was the East coming out on top. 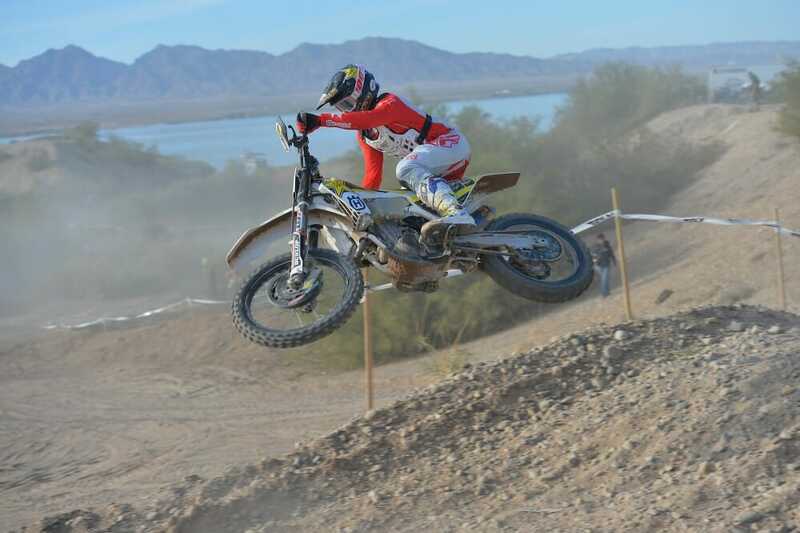 Some of the top riders from the GNCC Championship participated in the Vikings M.C.-hosted Lake Havasu final, including GNCC champ Kailub Russell, and Thad Duvall, and it was Duvall taking the win. Duvall, on the Rockstar Energy Husqvarna, came from behind to pick off Russell two laps from the end of the 90-minute race to take the win and the $2000 prize money. Russell led most of the race, while Duvall came back from a seventh-place start. Third place went to the top finishing West rider, KTM’s Eric Yorba. But the real winner of the day was the West’s Zach Bell who wrapped up the 2017 Big 6 WCGP Championship. The Ox Motorsports Honda rider chose to play it safe and let the lead riders have at it for the race win, settling for fifth on the day and the WCGP number-one plate.